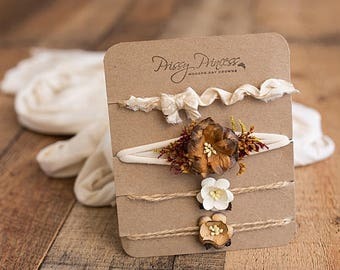 This newborn headband set comes with four matching flower headband tiebacks. 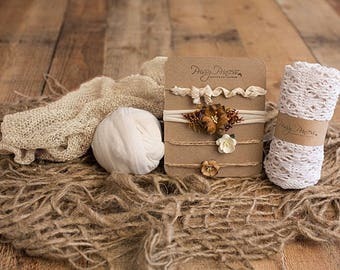 Cream and ivory are the most used colors when it comes to babies making this set a “must have” for a baby girl christening headband, baby photoshoots or even a baby shower gift. 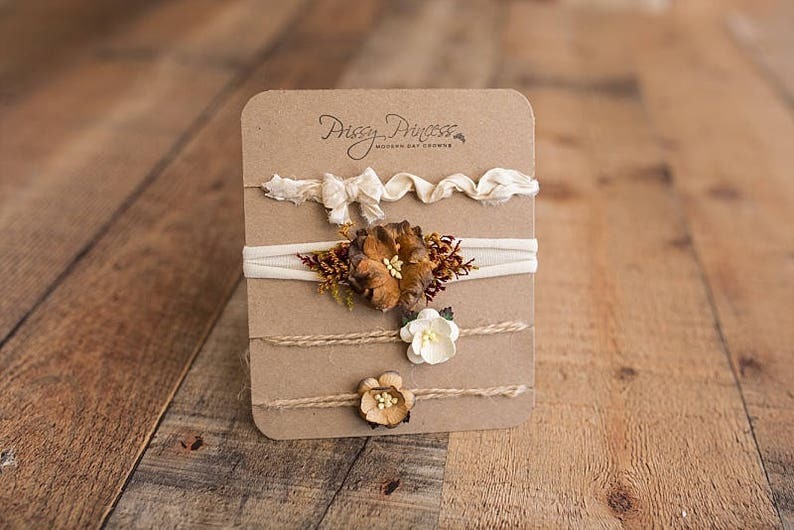 The inspiration behind this set is our popular “Vanilla“ flower crown. The genius of this set is its versatility. It is equally attractive on all ages and has the perfect neutral tones and color to blend with any number of other color combinations. It is also just as beautiful as a standalone color for our neutral loving photographers.